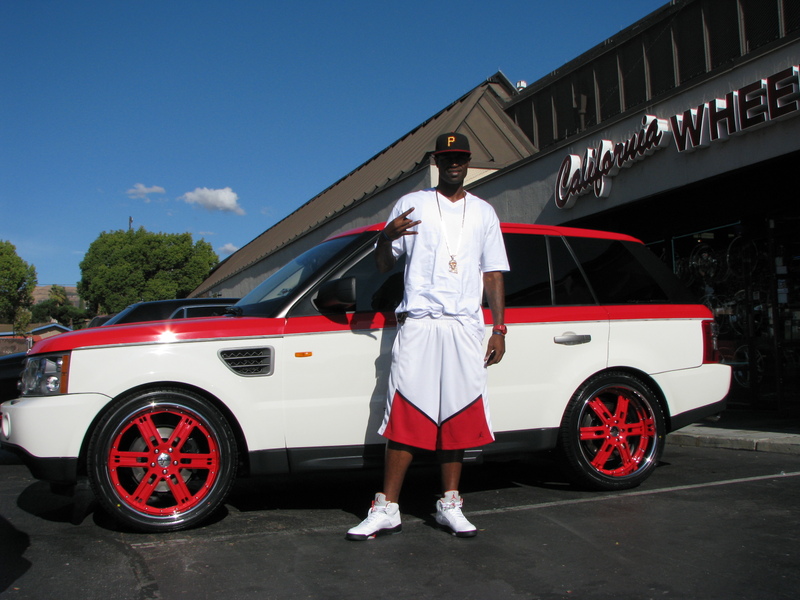 This is the 2nd of Stephen Jackson’s two Range Rovers, also done at California Wheels. An all white Range Rover Sport sitting on 22″ Giovanna Caracas wheels. These wheels are not as nice as the GFGs but they look pretty good. Definitely should have gone with 24s though. 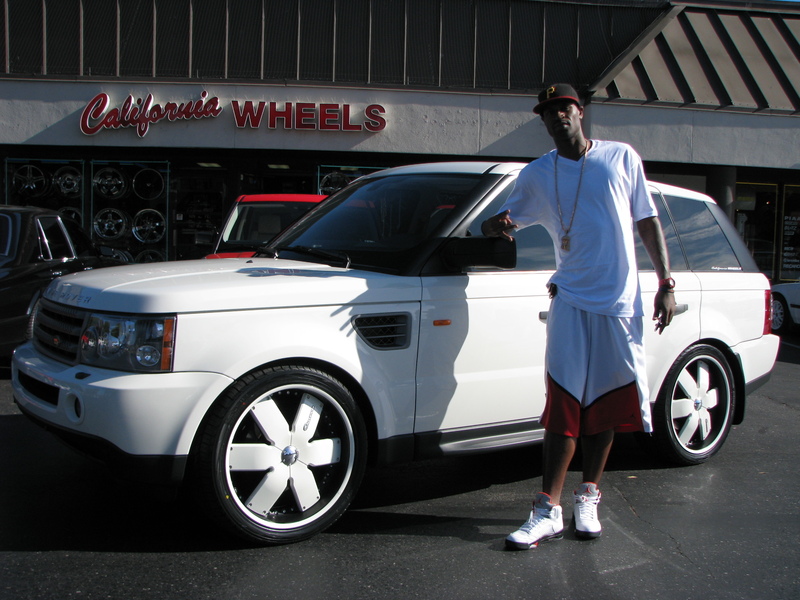 This is one of Stephen Jackson’s two Range Rover sports, both customized by California Wheels. I like this one the most, white/red two tone car with 22″ GFG Baghdad 3 piece wheels that are color matched to the car with a chrome lip. Even his shorts are red/white two tone! Rolls Royce Phantom must be the team car for the Golden State Warriors. We have already posted Al Harrington’s Phantom Drophead and Monta Ellis’s Rolls Royce Phantom, and now we have Stephen Jackson’s Phantom. Just like the other two, the wheels are 24″ Forgiato Ottos – this time, all chrome. 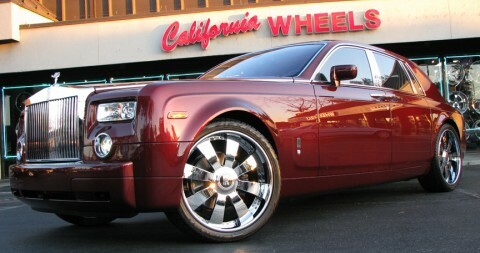 Cool thing about these wheels are that California Wheels created custom floating Rolls Royce center caps. When the wheels are spinning, the center cap just floats and doesn’t spin.